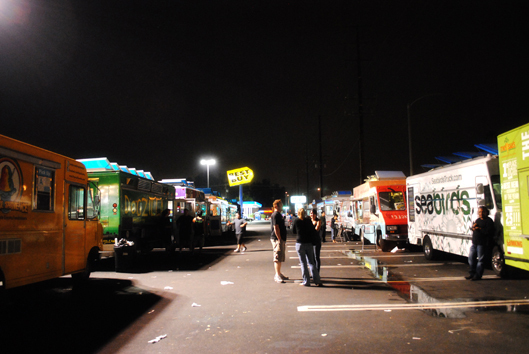 Were you watching The Great Food Truck Race? My husband is nothing short of obsessed with the show. 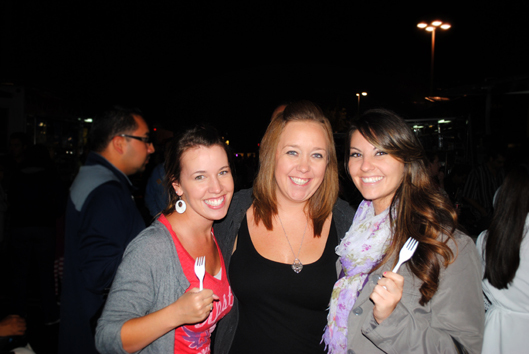 So when my friend Brittany posted on Facebook about a food truck meet up in Fullerton, we had to go! 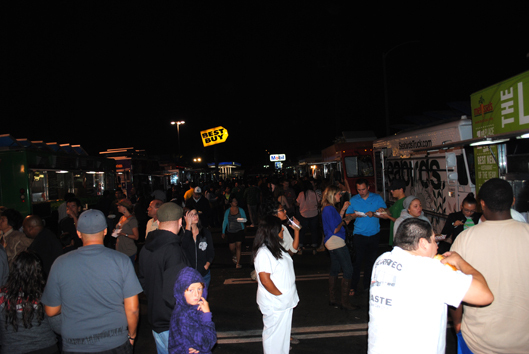 Getting there and seeing all those trucks and massive lines was rather overwhelming so here’s a quick glimpse into what we had that night so that if you go to the next one, you’ll know where to stop (and where not to)! And now onto the food! 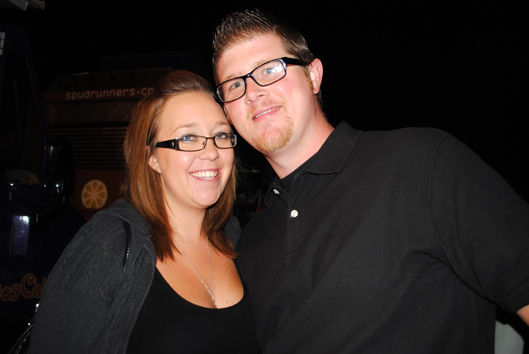 Our first stop had to be the Lime Truck (winners of Season 2 of The Great Food Truck Race)…. we ordered the carnitas nachos which were quite delicious and they also served some lemonade (not just any lemonade, it was special, I just don’t remember the name as it was a few weeks ago—I’m not the quickest blogger!). 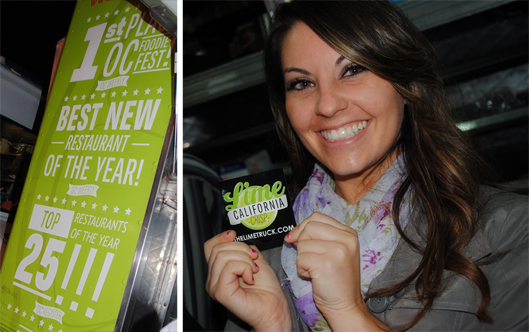 You can’t really not go to the Lime Truck, especially since they won the Food Truck race! EDIT: The lemonade was actually limeade! Thanks, Andy, for commenting with that info! I really am guessing at the name of this truck, but I think that’s what it says on the side of their truck in this photo! Really, I will get better at this! Anyway, this is definitely one of my favorite hot dogs ever (sorry, Jerry, I still love you)! It has avocado! It has bacon! It is a sure winner in my book! And it was only $5! EDIT: Thanks again Andy, for reminding me the name of the truck was Dogzilla. Maybe they will see this post and want to change their name to the one I made up! Maybe…. I don’t get seafood at home (hopefully for my birthday!!) so I had to stop by the seafood truck. Amie and I were dying to try a Lobsticle. It just sounded cool. So we shared one. 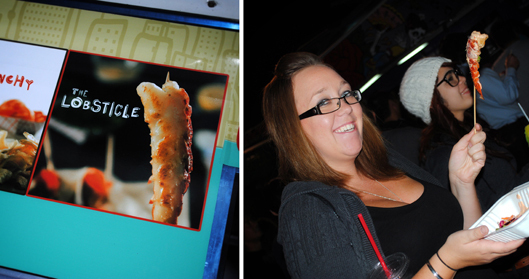 See their promo photo next to our real life Lobsticle… it was rather sad. And it was $6… definitely not one I would go for again. 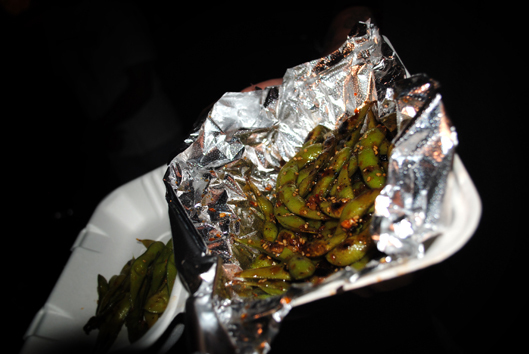 Matt got the edamame though and that was so delicious! Definitely recommend those! 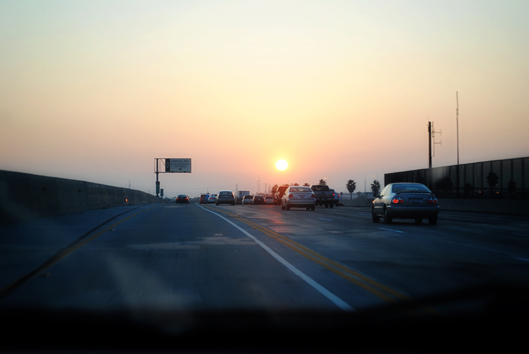 Andy had looked up the trucks ahead of time and wanted to stop by Dos Chinos—latin asian cusine. The tacos were pretty good, but I would pass on them next time to try some of the other trucks. Andy spoils me at home with super delicious tacos from carnitas to shredded beef to chicken, so these weren’t too special. 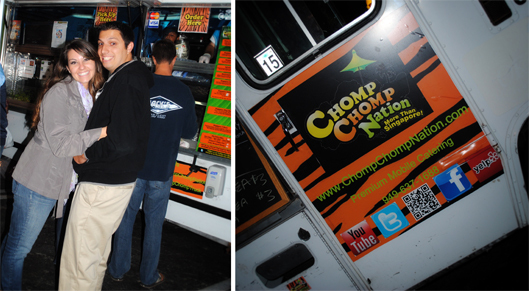 Brittany and Eric went to Chomp Chomp Nation and it was another favorite of the night. They ordered the steak and shrimp satay with a peanut sauce and rice. They also got an iced tea with lychies in it. That was pretty interesting and a little surprising! Again, I do not get to eat seafood very often so I take full advantage when it’s available! So yes, I got a shrimp taco from a Philly cheesesteak truck! And let me say, it was so delicious! Again, another top favorite of the night! And it was spicy! I can eat some pretty spicy food without wincing, but this was pretty bad! Not to say that I didn’t like it, but just a word of warning! We had to finish the night with some dessert but since the bakery truck had already sold out we settled for some Nutella goodness from Louks Greek Gourmet. This is definitely one to share! Read: do not order yourself one, and your husband one, while your best friend already ordered one. Plus, at $4, it’s a great goodie to round out the night and share with friends. All in all, I definitely want to go back again! As soon as we have another open Friday night we will be there! Hopefully we’ll see you there! Plus, the night sparked an idea for an upcoming event that is already in the works… Andy is coordinating a food truck v. BBQ competition teams that will be held in April at the Ontario convention center, I’ll definitely post more about that later! Find more info on the Too Fat, Too Furious food truck meets up here. Wow! This made me hungry and I just finished a big dinner! Um yeah, about this, I wish I would’ve known. I would have made you take me : ) especially since there was a greek dessert with Nutella involved. Looks like you guys had fun!